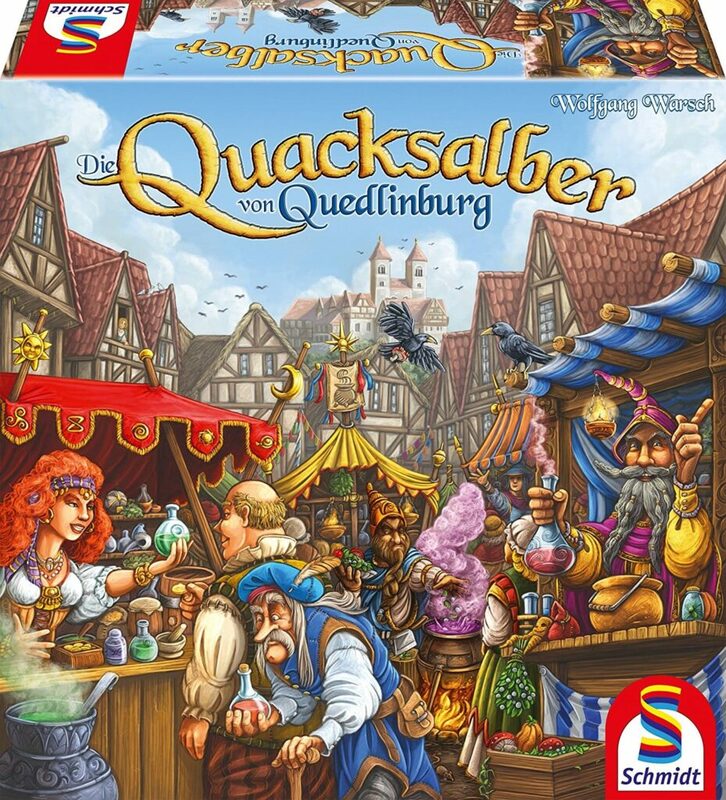 Die Quacksalber von Quedlinburg, a bag-building game from designer Wolfgang Warsch, immediately gathered an enthusiastic following in German-speaking countries after its March debut. Nonetheless, the game didn’t garner much international attention until May, when it received a Kennerspiel des Jahres nomination. Given its language independence, gamers around the world have been importing it from Europe since, and it is doubtlessly a strong contender this award season. An English edition is planned for this fall by North Star games.